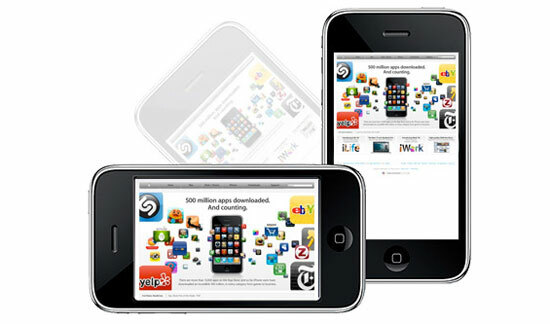 With the huge development in mobile device technology in the past few years coupled with the ever-increasing media business sector, isn’t it time we, as web designers, started taking advantage of some of the fantastic mobile applications to make our job a bit easier? 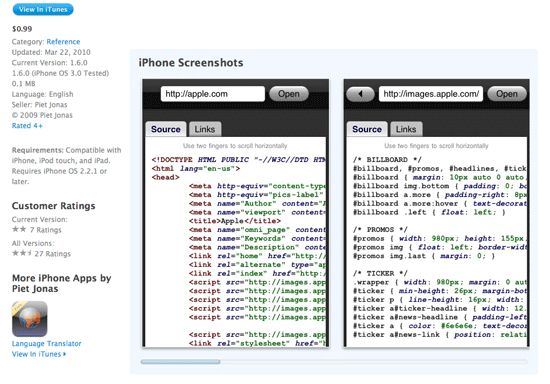 From cheat sheets to running servers, here’s a list of the 10 most useful iPhone apps for people who make websites. 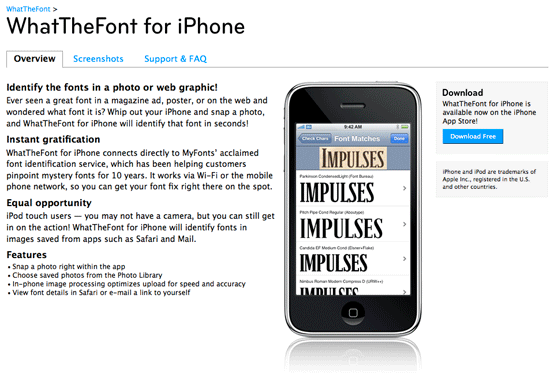 If you don’t already know about this web service, MyFonts is a free online service where you can upload images of text and give you matches with options to buy the matched font. The iPhone version works in much the same way as its desktop counterpart, but allows you to snap photos then upload them to the font identifier and find out matches. This is excellent if you spot a font on a magazine or billboard and want to find out what it is. Admittedly, this iPhone app is quite pricey, but it’s a powerful and endlessly handy tool that combines several features available on other apps. It includes an interactive colour wheel for picking complementary colour schemes, an image picker that allows you to create palettes from photos (either freshly snapped or from the camera roll), and a full Pantone colour library. 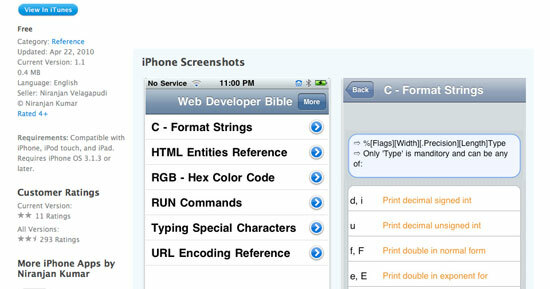 This app is designed so you can look at web page source code from your iPhone. It has a nice, easy to use interface and is definitely worth the $0.99. 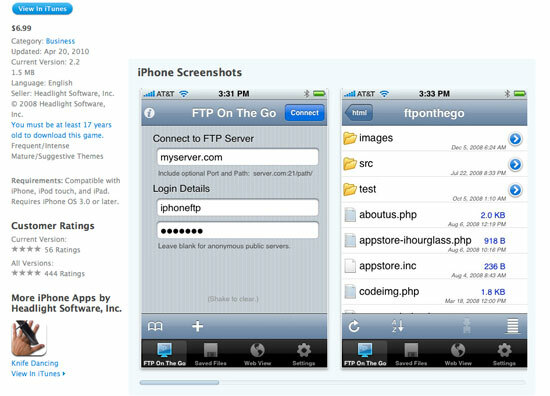 Again, a little on the pricey side, but this app brings all the features of a desktop FTP client to your iPhone. Capable of uploading, viewing and updating files from anywhere, it can be a lifesaver if you need to update your site (or your client’s) on the go. Note that the new version (2.2) fixes some small annoying bugs that this app previously had, so if you’ve been hesitating to pick this up, you should be all good now. 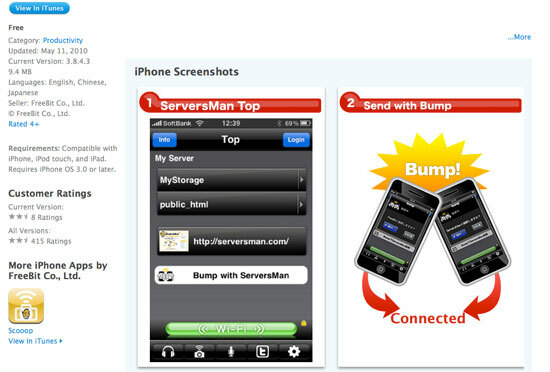 Have you ever wanted to turn your iPhone into a web server? Probably not. But in the off chance that you are one of those geeks that have wanted to, once you have installed this app, you can access the files on your iPhone via a computer on the Internet through the webDAV protocol. Originally only in Japanese, the newer versions are English-based and now support multithread processing so that more than one person can access your "iPhone server" at one time. This little app, as its name suggests, is an excellent reference for web developers and includes references for HTML and CSS code sheets, and a hex colour converter. 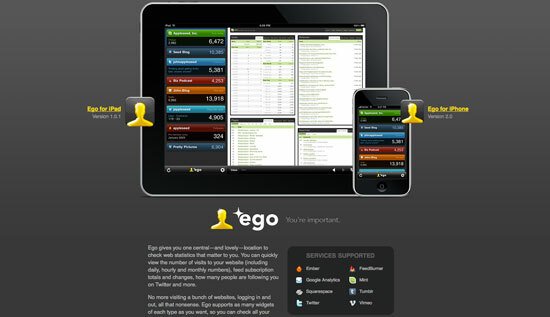 This app lets you stroke your ego by checking on all of your personal stats in the social networking/media space. With support for web services like Ember, Feedburner, Google Analytics, Mint, Squarespace, Tumblr, Twitter and Vimeo, it means you only have one place to check how many hits you’re getting on all of your sites within one simple, user-friendly interface. 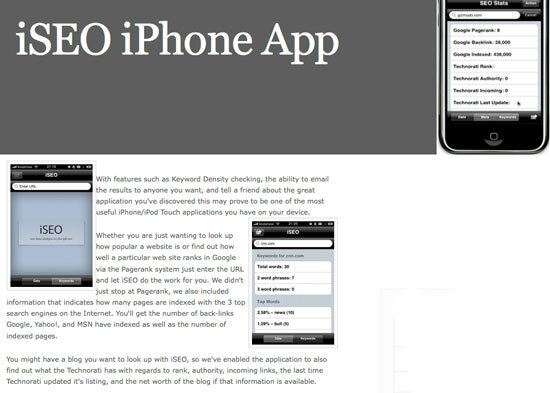 This iPhone app lets you browse the web on your iPhone without the Apple Safari web browser bars at the top and bottom. Simply shake or tap the screen to bring the address bar up, enter the website and the bar will disappear again, giving you up to 25% more screen space in portrait mode and 40% more in landscape mode. 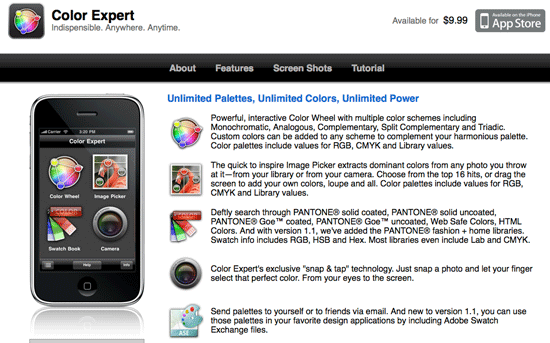 Adobe brings the ever popular Photoshop.com platform onto the iPhone. Unfortunately, it suffers from slightly limited functionality, but does include crop, rotate, filters, image and saturation adjustment. 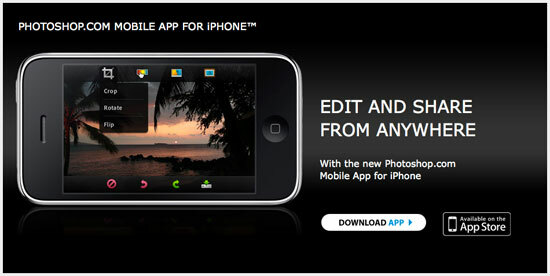 An excellent basic image editing app, it also allows you to share the results via a Photoshop.com account. This is a nice little analysis program for any web page you might want to find out more about. Simply type in the URL of the page you want to analyse and iSEO gives you information on the keywords used, as well as the details of how well it ranks on various search engines, and even metadata.